KidsCHURCH is all about one thing, "Bringing Children to Jesus and helping them live like Him!" How we do that is pretty simple. Every week at KidsCHURCH we provide a safe, fun environment where children of all ages can learn about Jesus on their level. Whether it's through live music, videos, skits, or lessons, we believe KidsCHURCH is just as important as TheCHURCH. So what are you waiting for? Load up the car with your kids and all their friends and join us for KidsCHURCH. 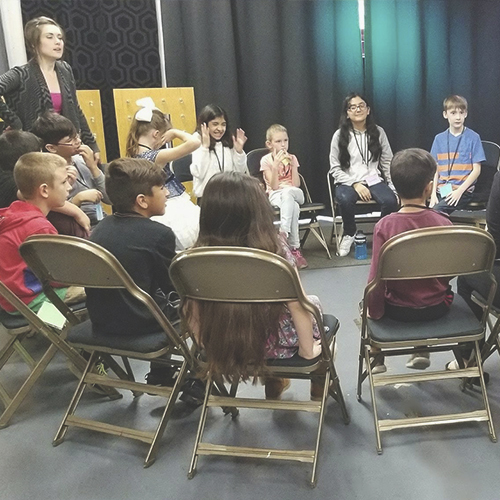 Every weekend we have rooms designed specifically to meet the needs of children within the specific age group equipped with caring team members who enjoy working with children and teaching them about Jesus. We cannot wait to meet you and your children. 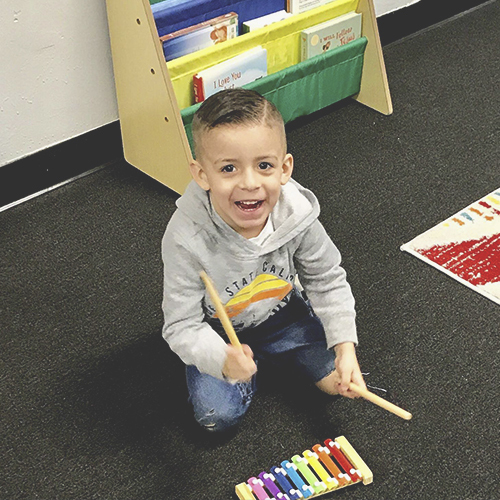 We have a classroom for newborns to 2 years old that is complete with rocking chairs, bassinet, toys, worship music and loving team members to care for the children while parents attend service. In this classroom we believe a child is never too young to learn about Jesus. The children spend a month learning one lesson from the Bible that includes a memory verse, craft, coloring activity, and discussion questions to fully engage the children’s mind and understanding of the Bible. We strive to have the children leave the classroom knowing who Jesus is and this is done in a fun way that brings meaning to their life! This room consists of toys, books, worship music, snacks, coloring activities, and crafts. Each week our KidsCHURCH team members put together a safe, fun and inspiring service for your children. Our activity times, worship songs, and weekly messages are designed to help your child understand how good Jesus is and show them how to live just like Him. These services are the highlights of our week and we cannot wait to see your child enjoy it as much as we do!